Cappuccino and latte (also called Caffè latte) are the two most popular Italian coffee drinks and are both prepared using hot milk. 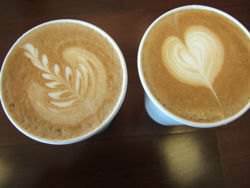 The difference is that cappuccino is prepared with less steamed or textured milk than caffe latte. In a cappuccino the total espresso and milk/foam makes up roughly 6 oz in a 12 oz drink. Cappuccino is served in a glass on a saucer with a napkin. Latte is served in porcelain cups with better heat retention properties. The name "cappuccino" comes from Capuchin friars’ habits or their tonsured white heads surrounded by ring of brown hair. 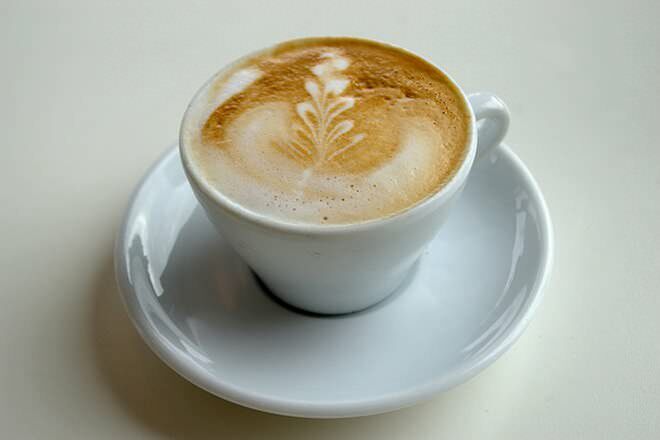 In Italian "latte" is milk and caffè latte refers to coffee and milk. A latte is made up of coffee and hot steamed milk. The coffee can be replaced with another drink base like tea, mate or matcha. In Italy caffè latte is often prepared at home for breakfast. The coffee is brewed on stovetop Moka or caffettiera and poured into a cup containing heated milk. The Italian latte does not contain foamed milk. 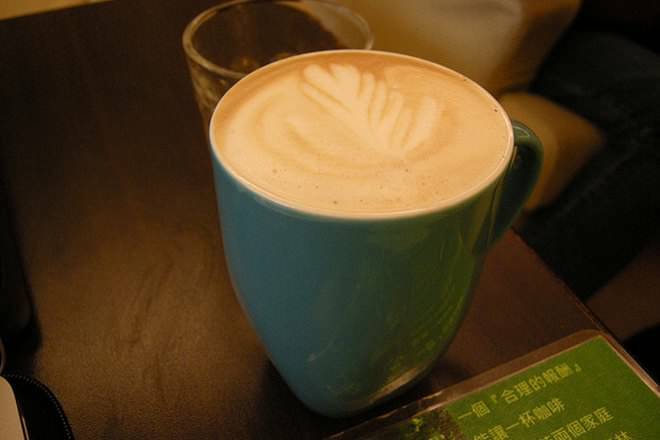 Outside Italy, caffe latte is made up of 1/3 espresso and 2/3 steamed milk; a 5 mm layer of foamed milk floats on top. Another version of latte is made with strong or bold coffee mixed with scalded milk in the ratio of 1:1. Though this is similar to a Cappuccino, the milk foam layer is of 2 cm in a Cappuccino. Cappuccinos are prepared with espresso, hot milk, and steamed milk foam. The texture and temperature of milk is of prime importance. Milk is steamed to introduce tiny air bubbles into the milk; this creates what is known as micro foam and gives the milk a smooth texture and sweetness. The hot foamed milk is poured into the espresso which results in a 2 cm thick milk foam layer on top. Cappuccino has variations that make use of more milk, such as the cappuccino chiaro, or white cappuccino, and the cappuccino scuro, or dry cappuccino. 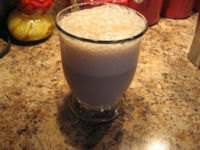 Cappuccino Freddo is the cold version of the coffee drink and is usually topped with small amount of cold, frothed milk. With the advent of single-serve coffeemakers, such as Nespresso and Tassimo, making lattes and cappuccinos at home has become easier in recent years, requiring less careful attention. Terms caffè and latte were first used in 1847 and later in 1867 they appeared in William Dean Howells essay "Italian Journeys". Latte originally means milk in Italian and the caffè version of this drink is an American invention. Caffè latte originated in Caffè Mediterraneum, a café in Berkeley, California and was brewed in its current form by Lino Meiorin for the first time. He added more milk to this otherwise strong cappuccino and called this new drink "caffè latte". Cappuccino in commercial form was introduced at the beginning of 20th century, when patented espresso machines were introduced by Luigi Bezzera of Milan in 1901. These machines made the cappuccino very popular in cafes and restaurants and the current from developed by the 1950s. Latte art refers to the style of pouring steamed milk into the espresso and create a pattern or design on surface of resulting latte. This can be achieved by embellishing the top layer of foam. The art is difficult to be created consistently and is dependent on experience of barista and quality of espresso machine. To pour is the challenge of the latte artist. Caffelatte IS Italian. It is what we have at home, because you can have steamed milk foam only with a professional coffee equipment so our home cappuccino is actually a caffelatte. And adding some coffee to the morning latte is something every young people do for their daily breakfast. if you ask for a latte in Italy you'll get a glass of milk, not surpisingly! I'm astonished that you can believe that Latte was invented in America. People were drinking it in Europe before America was even discovered. everyone serving cappucinos should know of its origin and meaning.